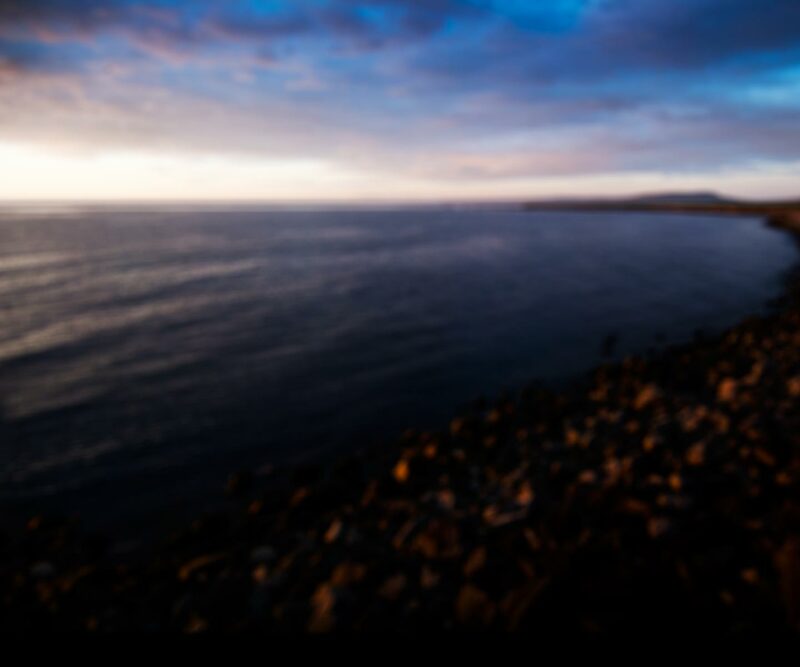 Ásbyrgi is undoubtedly one of Icelands most beloved nature pearls. It is an enclosed canyon in Kelduhverfi district west of river Jökulsá á Fjöllum. The enclosure is about 3.5 km long and 1.1 km wide, surrounded by cliffs which reach as high as 100 m. Extending from its opening and rising into the centre is 250 m wide cliff, called the Island, which ends in a tall narrow edge resembling a ship’s stern. According to legend, the horse of Óðinn, the chief god of Norse mythology, stepped down here leaving its giant hoof print. That was the vernacular explanation in earlier centuries of this magnificent horseshoeshaped canyon. Latter day scholars, however, have offered some different theories on how Ásbyrgi was formed. Most likely, Ásbyrgi was formed in two catastrophic floods in Jökulsá river, the first about 8-10 thousand years ago and the second around 3 thousand years ago. Evidence of such floods can be seen all along the river all the way up to Vatnajökull glacier and signs of a riverbed leading to Ásbyrgi from the canyon are clearly evident by Kvíar, indicating floods running straight across the heath, carving out the great canyon now called Ásbyrgi. Ásbyrgi became part of Jökulsárgljúfur National Park in 1978 and is now part of Vatnajökull National Park which was founded in 2008. Entering Ásbyrgi from the sandflats of Jökulsá river delta is like entering a new world, a hidden paradise. Within the steep surrounding walls, Ásbyrgi is richly vegetated with brush and trees. Birch is the dominating species but rowan and several other species can also be found. The birch forest is protected by law and in the care of the Iceland Forest Service. An old barn, standin at the entrance to Ásbyrgi has been completely renovated to house Gljúfrastofa visitor centre. Inside you will find facilities and information about the National Park as well as an exhibition which informs you about the nature and history of Jökulsárgljúfur canyon. The exhibition is designed in an imaginative way to evoke interest among visitors of all ages. Browsing through this interesting exhibition and picking up the various tidbits of information before exploring the park can greatly enhance the value of your visit. 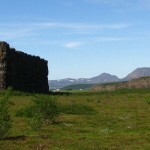 Ásbyrgi has a campground and good facilities and services for visitors. They offer bathing and washing facilities, RV accommodation, playground and more. Several marked walking trails run through Ásbyrgi and all along the canyon. Everyone should be able to find a suitable walk, whether you just want a short stroll inside Ásbyrgi or are enclined to a two day hike up to Dettifoss waterfall. During summer park rangers offer guided tours and various other activities in addition to information. For those who choose to venture out on their own, the trails are well marked and in many places little signs provide information along the way. Maps and information brochures are also available. At the extreme inner end of Ásbyrgi, sitting under the tall cliffs is a small pond rich with birdlife and surround by multifarious vegetation. A wooden platform has been built on the edge of the pond where visitors can enjoy the beauty and tranquility of this nature gem. Another platform has been built up in the rocky slopes west of the pond from where you can enjoy a beutiful view of the pond and the whole enclosure. Ásbyrgi has attracted people from all over the world and is also frequented and much beloved by the local population. Whether you choose to camp there or just visit for a day, you are not likely to forget this nature pearl in Northeast Iceland.